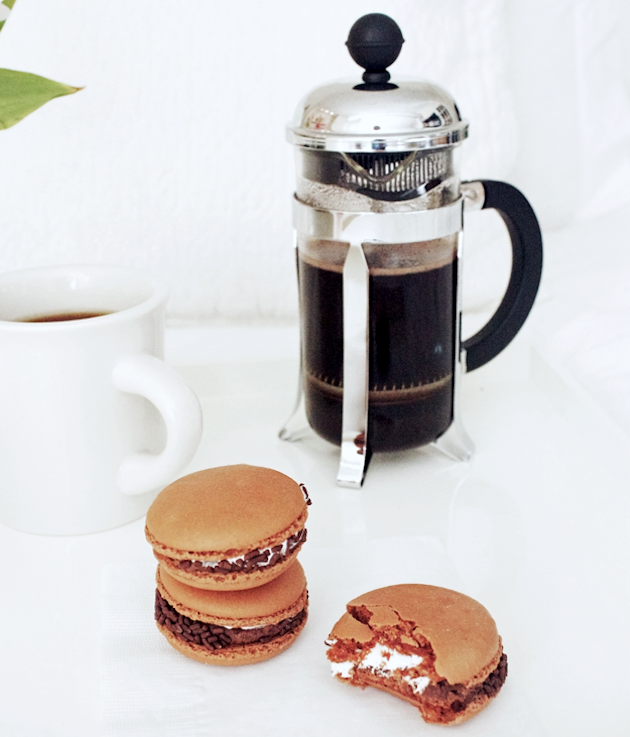 The Resident Tourist: Breakfast in Bed with Macaron Cafe . . .
How do you treat yourself... Spa day? Shopping spree? Chocolate? 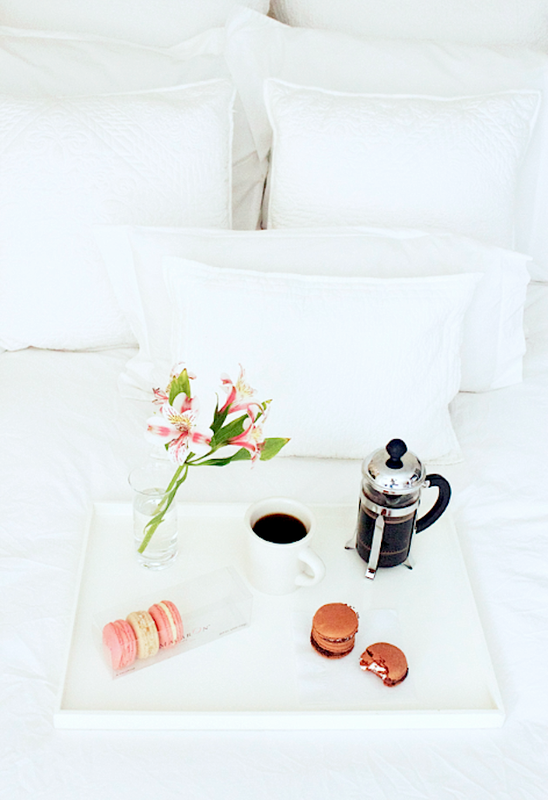 Two of my favorite treats are macarons and breakfast in bed. 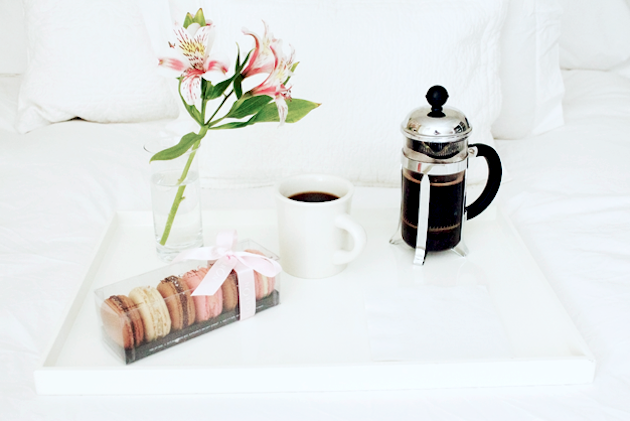 So when Macaron Cafe sent over a lovely little box of french sweets, I thought I'd treat myself to both indulgences: a morning spent in bed reading, sipping coffee, and munching on their newest flavor of macarons. Milk Chocolate, Marshmallow Fluff, and Sprinkles - it's totally decadent, like a s'more/macaron hybrid. Again, two of my favorites, mixed into one! If you're in the city looking for a yummy bite, swing by one of Macaron Cafe's many locations and try one - trust me, your taste buds will thank you. 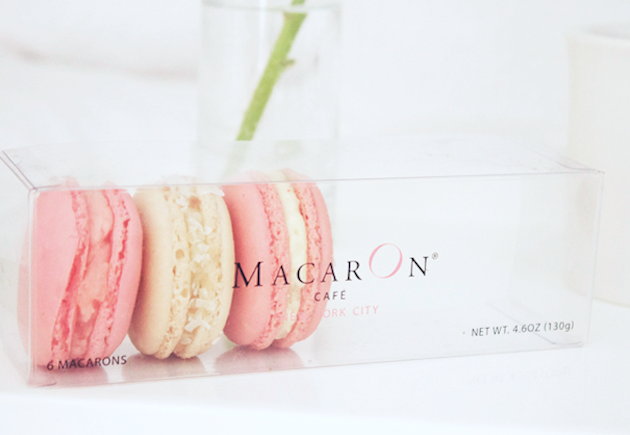 And if you're not in New York, not to worry, Macaron Cafe also delivers nationwide. Treat yourself today, you deserve it! 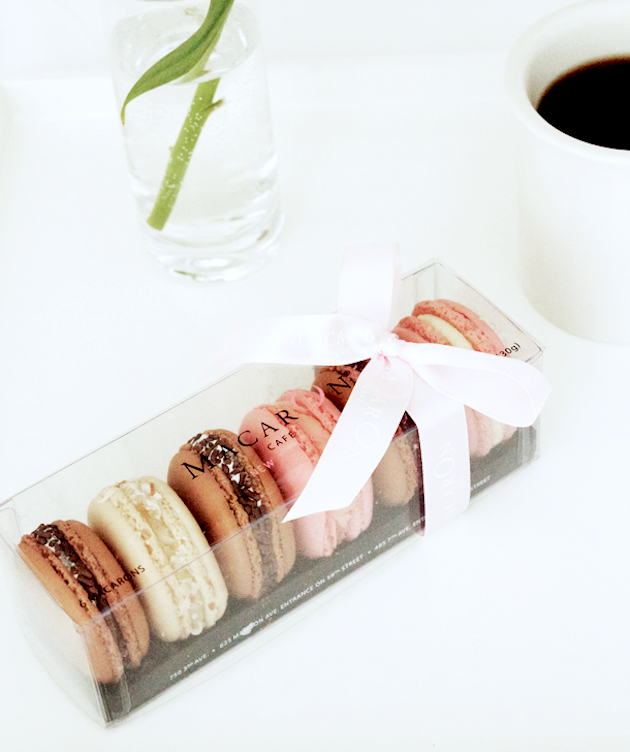 This post is brought to you by Macaron Cafe.